Who doesn’t love a good slice-of-life anime? A genre wildly popular in Japanese fiction, slice-of-life novels, anime and manga centre around the pleasure of watching ordinary, day to day interactions between people. Rather than explore adventures, battles and conflicts, slice-of-life stories eschew manufactured tension to fall back on the strength of well written characters and settings. There aren’t a lot of games which follow this style, but when it’s done right, the experience can be enriching and therapeutic in a wonderfully novel way: once you’re exhausted of slaying villains and destroying scenery, what better reprieve is there than simply inhabiting a fictional world and watching its denizens go about their own lives? This is a game about inheriting a farm, growing crops, raising animals, marrying someone you fancy and building up a huge sum of money in the process. The long running series has always stuck to fairly simple roots and a simple core gameplay loop tied to an in-game clock. Oddly enough, while most in game timers foster urgency in the player’s actions, Harvest Moon’s clock seems to do the opposite. The 12 hours of waking time the player receives is like a gift, one they might spend fishing, or tending to their animals, or befriending the townsfolk, or simply jumping into bed at 10am. 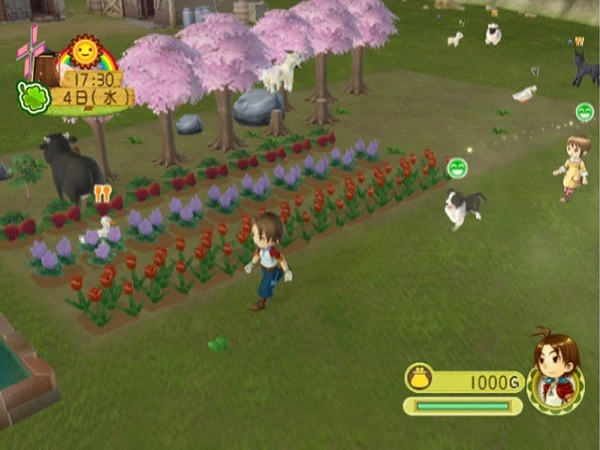 There’s an immense amount of player agency, but at the same time the games are about worlds which will keep spinning even if the player doesn’t exist – they’re about networks of relationships in small country towns, and the biggest selling point of Harvest Moon is that the player gets to be just another townsperson in this peaceful, conflict-free world. “The Animal Crossing series isn’t really about anything”, most fans will say, as they continue to sink dozens of hours into their virtual towns. Like Harvest Moon, Animal Crossing is a life simulator, but with Nintendo’s unique penchant for innocent wonder. After arriving in a new town and being slapped a hefty housing debt by resident loan shark Tom Nook, the player’s only real goal is to work off this debt by doing simple tasks like fishing, catching bugs and digging up fossils. The rest of the gameplay is, simply, leisure. The games do a great job of taking activities which in the real world would be considered a waste of time, and bringing out the intrinsic joy in them. Everything in the Animal Crossing games is brimming with personality, and is sure to put players in a good mood. 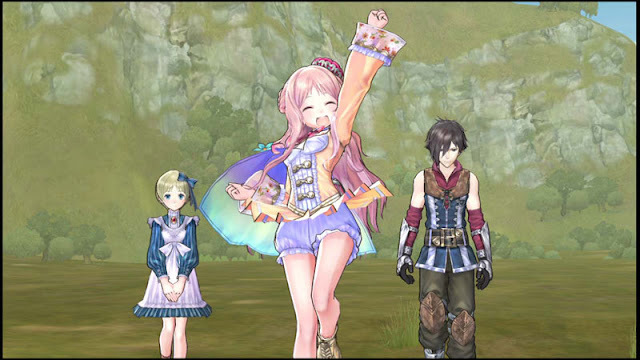 The Atelier games are often branded as “work simulators”, and their fans wouldn’t have it any other way. Each game is set in a fantasy landscape full of swordsmen, magicians and other adventurers, governed by a kingdom and a bustling economy. You, the player, are the means of production: you gather resources from the natural environment and by the power of alchemy turn them into something the denizens of your township can use. It’s a somewhat mundane premise which feels fantastic to play – I started wondering why I would bother forging a sword for someone else when I could just wield it myself, and I ended feverishly trying to min-max the stats on my reagents to make the best possible items. Diaries of a Spaceport Janitor is an indie game set in a far flung space station filled with warriors, pirates, diplomats and merchants – and you can’t play as any of them. 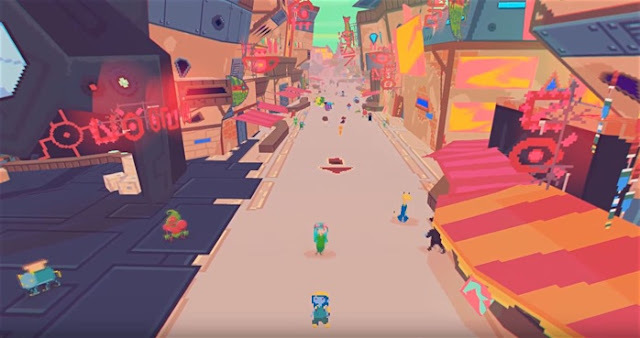 Skirting very close to anti-game territory, this game puts you in the shoes of a poor scavenger in a futuristic world, dreaming of high adventure that is attainable only after amassing a small fortune. Entrepreneurship isn’t easy though when your only income comes from selling knickknacks you find on the street to vendors whose asking prices fluctuate almost at random, and your measly rewards go first towards keeping yourself alive with food, medicine, and procedures to keep your gender dysphoria in check. And for all its bleakness, Diaries of a Spaceport Janitor lets you delight in the little victories you’ll achieve. Successfully finding something valuable, keeping yourself alive against the odds and experiencing the oddball culture of the game’s world are all highly enjoyable outcomes, even if you’ll never become a travelling hero like nearly other science fiction game promises. 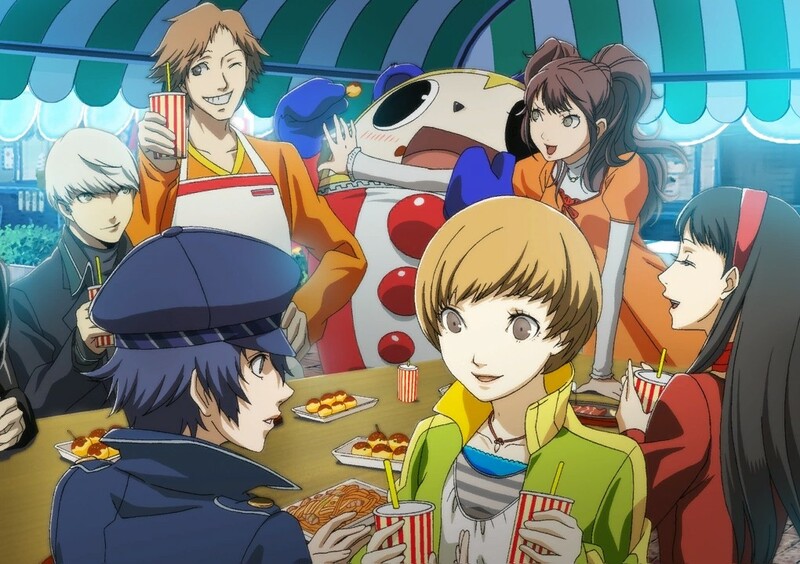 Persona 4 is about Jungian psychology, murder mysteries and eldritch spirits, but it’s also about being an ordinary high schooler in the fictional rural town of Inaba. You’ll go to school, hang out with friends, develop your skills and generally experience life, all while balancing your responsibilities to save your classmates from a shadowy other world hidden within televisions. Persona 4 makes the list because it takes the mundanities of high school life just as seriously (if not more!) than its murder mystery main plot arc. The player gets to know the game’s cast much better as a result and thus experiences a story more poignant and lasting than most RPGs are able to muster. Okay, hear me out on this one. There’s not really a whole lot of plot to these games, and mechanically they’re a collection of beach themed minigames interspersed with footage of the cast relaxing. 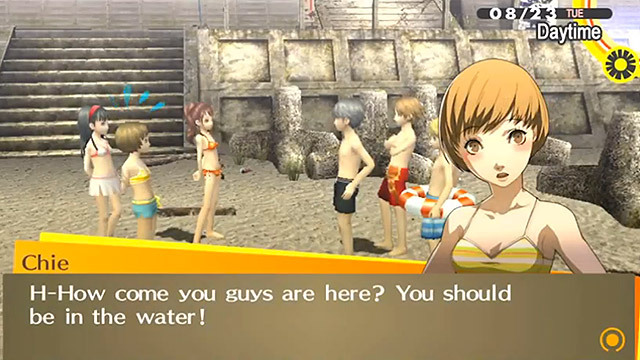 I just find it very quaint that, in a fighting game series known for crazy plots about cloning, ninjas and international conspiracies, Tecmo Koei would decide to have the game’s female cast leave and have fun on a beach resort for a few weeks. The game has two potential target markets – those who are just there for the fanservice, and those for whom peaceful gameplay and watching their favourite characters unwind is a unique form of healing. Feel free to quote that one when your friends ask you why you play. Arguably the first open-world game, Shenmue’s director Yu Suzuki was more interested in creating a living, breathing world for the player to inhabit than he was in telling the best martial arts revenge story he could. Everything in this game feels real – NPCs cycle through streets on their own patterns, the day and night cycles keep the player’s activities temporally grounded and the game lets you participate in its world rather than acting upon it. 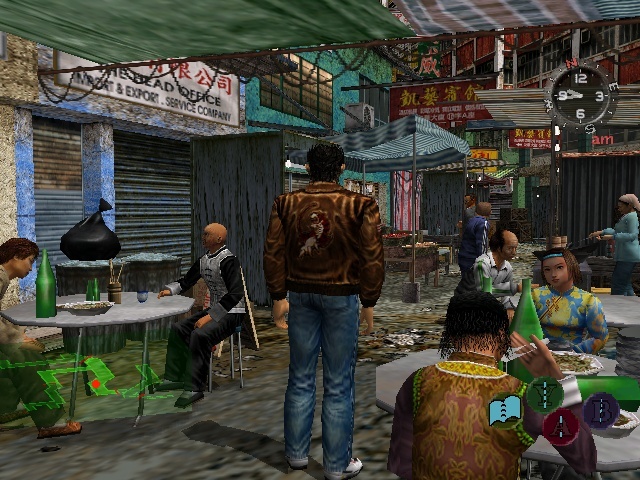 Despite poor initial sales, both critics and fans came to realise the significance of the game’s slice-of-life structure. It’s a beautiful game to simply lose yourself in. The slice of life genre doesn’t need to be realistic or mundane - No Man’s Sky is a great example of this, following the everyday life of a nomadic space traveller. He or she gathers resources, examines local wildlife and tries to figure out the mysteries of the universe. As critics were eager to point out however, the protagonist never succeeds on his quest, never grows and never really changes: which is entirely the point. The planets visited aren’t carefully designed to deliver a thrilling escapade; they’re merely the incidental machinations of an emotionless random number generator. 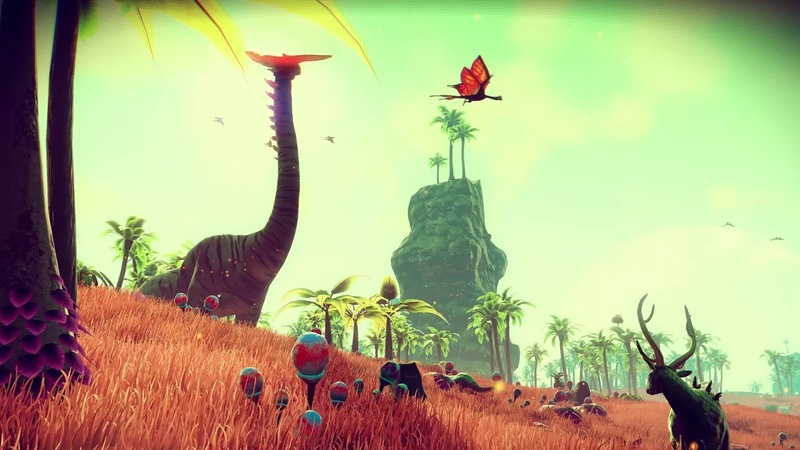 This game lets you experience the day and night in a universe where existence is definitively random, giving players time to ponder the beauty, silence and loneliness that this truth imparts. 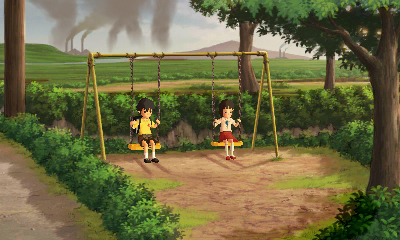 Attack of the Friday Monsters is short and experimental, but effectively captures the beauty of the small communities in the Japanese countryside, as well as growing up in an idyllic, innocent setting. The player takes the shoes of Yuuta, a young, curious boy who plays a card game with his friends and loves Kaiju TV shows. The game springs off the early advent of home television for the Japanese youth; an exciting time in which fantastical creatures seemed real and possibilities were endless. As Yuuta goes about his day to day, simple occurrences which adults would take for granted are in themselves little mysteries, and the narrative’s lack of drama or conflict doesn’t detract from the game’s wonderfully enchanting atmosphere. If every day feels like a grind, this is the game for you. 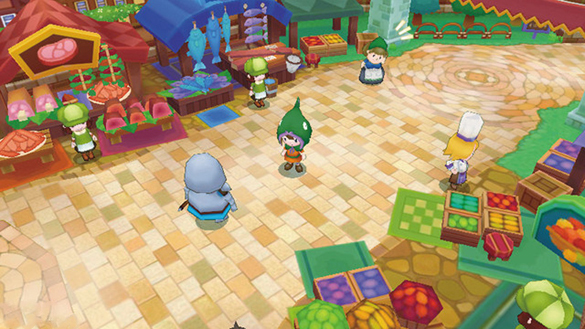 Fantasy Life’s core conceit is the notion that every skill can be improved with routine practice. It’s repetitive and yet addictive, and it’s a narrative where the player isn’t getting stronger to defeat some powerful looming enemy; they’re just getting stronger for its own sake. The game’s narrative takes a back seat to its core experience-gaining systems which are immensely compelling in their own right.